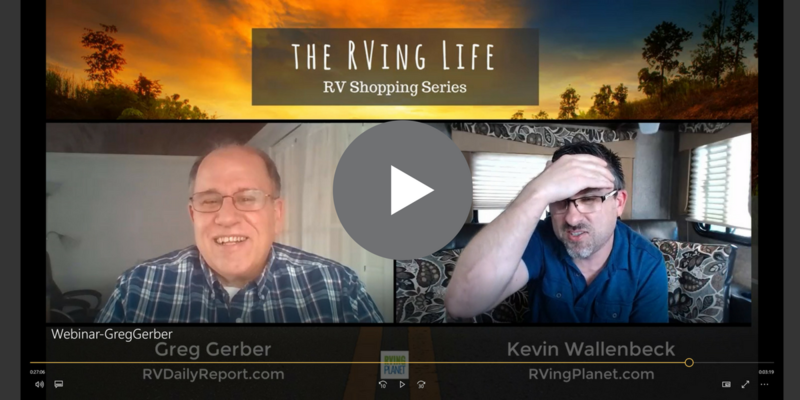 Welcome to the sixth episode of “The RVing Life Show”, where I interview Greg Gerber of RV Daily Report. Greg’s inside scoop from 17 years, visiting hundreds of dealerships, and 130+ RV Show appearances make him a perfect candidate to look to before making an investment and when trying to learn about RV Dealership “Trustworthiness”. Greg is “The Voice” of the RVing Industry! What a ‘good dealership’ looks like from the outside. How certifications can show the professionalism of the dealership on the inside. Some small vs large dealership differences. Characteristics of a trustworthy RV dealership. Important Cost vs Quality factors to consider. Pros and cons of buying local vs long distance. The advantages of buying inside a dealership network. RV Daily Report – The latest news on the RV industry, campground news and issues impacting the outdoor recreation industry. Before You Buy Checklist – 10 Step by Step, Proven Methods to Know BEFORE You Go to Buy! Dealership Networks: Priority RV Network and Route66. Kevin: Welcome to another episode of the RVing Life Show. And so glad to have everybody back today and as you guys know we put these out once a week and I’m super excited about our guest today. Man, we’re just going to get to a bunch of stuff. But Greg Gerber is the editor of RV Daily Report and he’s been in the RV industry for 17 years and has been a full time RVer since march of 2014, both living and working in his motor home as he travels the nation reporting to the RV industry. So Greg, welcome to the show. Greg: Thanks, Kevin. Nice to be here. Kevin: Yeah, man. When I put the invitation out for you to come on the show I was pretty sure you would come on and want to share your knowledge with people. But at the same time I was like, “Man, he’s a busy guy. He’s got a lot going on.” And because really, I mean, we’re going to talk about RVs and what people look for in RVs when they go to buy one, where they buy one, and you have a lot of knowledge and back-story to give us to help people there. But in all reality, man, you are the voice of the RV industry, I mean, not necessarily the shopper perspective, but from an industry perspective you are the voice, man, you are the guy. Greg: Well, thanks, Kevin. I appreciate that. Kevin: Yeah, so tell us a little bit about just to give people that are watching and listening in, just give us a little bit of back-story on you and kind of RV Daily report, what you’ve been doing for the past couple of years, and then we’ll get into writing some questions to help shoppers out. Greg: Sure, like you said I had started in the industry in January of 2000, and didn’t know the first thing about RVs or the RV lifestyle. And I worked for a magazine called RV Free Digest at the time. They’ve got … they didn’t see the internet coming and the car completely of guard by it, and I saw what the potential was so I started RV Daily Report on my own April Fool’s Day of 2009. Kevin: April Fool’s Day. That’s right. That’s when you. Greg: Yeah, that’s right. So we’re celebrating our 8th anniversary right now. But it was a couple of years ago. I have a gone to a trade show in Las Vegas that was called the New Media Expo, and there were bloggers, podcasters, and everybody had asked me if I was doing a podcast, and I said no. And so I learn more information about it and then actually hooked up with a podcaster, John and Cathy Huggins was living their every dream in Quartzsite, that’s where that was. So I was living in Sun City, Arizona at the time, and there is a great big storage compound not too far down the street and I went over there every other day or so. I finally found an RV that was for sale that looked really good, and I bought it from the owners. It’s a full time and I’m doing it ever since. I’ve just now, this last weekend, come off the road officially and moved into my northern command center up here in Wisconsin. Kevin: Wisconsin, alright. So I’m actually here in Michigan for those of you that are new to the show. And this is the first time that I’ve been in the RV doing the show, because it’s kind of really cold. So this is the beginning of April and I didn’t want to fire up the furnace and stuff. But, so it’s a good time to be back in the northern climate when things start to warm up a little bit for sure, right? Greg: Hopefully it won’t be freezing anymore, yes. Kevin: Yeah, well don’t cost your fingers too much. Kevin: Just wait 15 minutes and weather changes up here. So Greg, on all your RV travels, how many different RV dealerships do you think that you’ve been too? Greg: The last 17 years? Greg: Hundreds, it’s been hundreds. Kevin: Okay, I just want you to repeat that once more so that people don’t think that they miss heard what you said. Kevin: Hundreds, you have been to hundreds of RV dealerships. Kevin: Okay, so what that makes you is the foremost expert on the show so far as far as what people can look for when they go to RV dealerships. So you had mentioned that you for you when you purchased your RV, you bought it used, some people buy use, people buy new, some people buy from private sellers, some people buy from dealerships obviously. So there’s pros and cons to all of it, but you have been to a lot of RV dealerships. So what could you say are some components or things that people should look for when they visit a dealership, what are some signs that are like, “Okay, these guys are reputable.” What are some signs that maybe, “No, I don’t know, I might want to check the box twice on this one.” Give us your insight, man. You’ve been to so many of them. Greg: Well, there are a lot of really professional RV dealers out there in the market. I mean, there are a bunch of them. There are a couple of little skangers out there that you have to be a little bit aware of. Kevin: Like every place, right? I mean, every industry have those, has those, right? Greg: That’s right. I think that if you go into an RV dealership and they have a nice building that is professionally laid out, it’s got a parts and accessories counter, it’s got a service center, and it’s got a sales area that we were pretty much in with one of the better dealerships. If a dealership does not have the ability to service RVs, they only have one or two base, I’d be really wary of that, because they are not likely able to have the capacity to fix your RV when it breaks without having to wait for weeks and weeks and weeks. Another thing to look for is signs or plaques indicating that they had professional service technicians. I think that’s very important. They’re certified by the RV Industry Association and the RV Dealers Association. And having those plaques in the service center really shows that the company or the dealership is professional and taking its responsibilities to its consumers seriously. There are a couple of things right off the bat. Even those places that are like a string of lights and they grab a lot, that type of thing, you don’t know if they’re going to be here next year or not. And so we want to look for somebody who’s got a decent building and decent facility, well cleaned and maintained, that kind of shows that they give good attention to detail. Kevin: Yeah. I know that as the economy of the United States cycles every how many years, 10 or 15, 20 years whatever, that back in 2005, 6, and 7 we saw a lot of smaller dealerships popping up, right? Like a lot of auto dealers, car dealers would put up little RV lots and stuff. And then you saw a lot of it go away once the recession took place 2009 up until a couple of years ago. I think we started seeing that again. So there are a lot of those and they do pop … and not that all of them are bad, we know that. But what would be a reason why someone might want to … other than maybe things that maybe they seem obvious to you and I, right? But people listening or people watching that have never bought an RV before or it has been a while since they have bought one, why would a big dealership matter versus a smaller dealership? In terms of, I’m talking about like 20 units on the lot and like you said the stringed up lights. I mean, if I go buy an RV at a big RV dealership, isn’t that going to cost me a lot more money like isn’t a smaller guy like the mom and pop way to go? What’s probably your experience with that? Greg: Well, I think it goes both ways. You’ve got the big professional, I mean really big RV dealerships out there and parts can kind of get lost in some of those. And the mom and pop still provide very good service. I mean, if they average maybe 100, 150 RVs in a year, they’re still making decent income, and they have the ability to provide the level of service that their customers are going to want. And it depends on where you’re going in the country as well. Up in Midland Michigan there might be a rather small dealer in that area, but it takes really good care of its customers. And if you go to another larger city like or Chicago or Milwaukee, that type of thing, the Chicago area let’s just say that. There might be some really big dealers there, but I don’t know if you’re providing the kind of service that people need. It’s just a matter of going online and reading the reviews, I mean Google reviews are wonderful, Yelp has some reviews. There’s also a site called Dealer Rater that allows people to leave reviews of RV dealerships that they patronized. And I think that would be a good idea to get a general idea. But there’s no magic formula, big dealer, small dealer. If the owner has that mindset of customer comes first and that they are there to serve the customer and that the customer is doing … they’re not doing a favor for the customer via service, do something on the RV I think it will be much better. Greg: Exactly, it would all depend upon what you’re going to use the RV for. If you’re going to buy it and use it locally within a couple hundred miles but you’re always returning to your home and that’s where it’s going to be parked, then it would be very, very important to buy your RV from a local dealer that has the ability to service it. 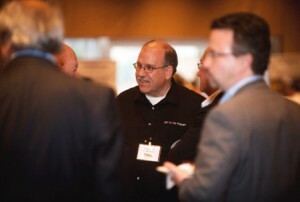 We’re seeing a trend in this industry now where the dealers are overwhelmed with demands for service. And so many RV dealers are saying that they’ll service RVs but only for those customers who bought that from them, and there are other dealers who will service any maker or model bought anywhere. So it’s important to find out what the dealership’s position is on how they’re going to provide service. If you’re going to go nationwide traveling, like full time like I did for years, it’s better to buy I think from a group of RV dealerships like the Priority RV Network or Route 66 where they have locations all over the country and their premise says that if you buy an RV from one of our dealerships that you will get service at any dealership as though you had bought it from them. It’s part of the family if you know what I mean. Kevin: No. It’s good. So this is something that’s new that we haven’t introduced our viewers yet, and that is the idea of, I won’t call it a buyer’s group, but you mentioned an RV dealer network. And you mentioned Priority and Route 66. Kevin: Tell us a little more about like … just be … go into a little more depth on like how that’s structured, why that’s important, and how that works exactly for our viewers. Greg: Sure. We’ll take Route 66 for example. That’s the dealer network that I actually belong to, because after I bought my RV I went to the local Route 66 and I bought an extended warranty and had some service done and I became part of the family. And we’re given a little card that identifies you as a Route 66 customer. So when you are out traveling you should be able to go to any Route 66 dealer and present your card and get service just as though you’re going to your hometown dealer. And this all started a couple of years ago where dealers formed an alliance or a group or a network to increase their buying power. So these are RV dealers that have really good solid reputation around the country, but they just form this little group so that they could get discounts on buying like air conditioners for example. It’s better if a group of 150 dealerships negotiate the price on air conditioners than it is for a single dealership to go out and do that. So there’s some buying incentives for the dealer to get involved. But what all of these groups have done is they focus their attention on the dealers by offering this benefit be it Priority RV or the Route 66 so that if somebody buys from one of dealerships they get service as though they bought it right there at that dealership. So I bought mine in Phoenix, Arizona and I needed service in Dallas I should be able to go to their Route 66 dealership in Dallas, identify myself as a customer or a member of the network and then I can get in and get that RV service. Greg: Because they take a lot of people buy RVs to travel and that’s what they’re out there doing it for. But when you’re traveling you run into problems, so it’s important to get that service on the road. So this is not a franchise, it’s not like a McDonald’s or something like that, but they’re all in there. It’s like a true value hardware store. There are hardware stores under one network brand kind of thing. But they treat their customers very well. Kevin: Yeah, that’s good. I know that we’ve been associated with the Priority RV Network quite a bit in my past business dealings. And I know that I’m sure it’s like Route 66 as well but Priority RV Network has a really good betting process, right, so not just any dealership can get in these groups. Kevin: And that’s really important. Whether you’re buying to travel all over the country or not it’s interesting noticing that the more people that we talk to and like for example on RVing Planet, RVingPlanet.com is one of our show sponsors, primary sponsors, and we have a lot of questionaires, a lot of … there’ll be some more things in the show notes on some helpful tools for shopping tools and checklists and things like that, downloads, freebies that people can get a hold of to help them in their journey, but their buyer’s journey. But we just got a ton of feedback and questions. One other thing that people continually tell us is they buy an RV with the expectation of taking it may be locally, and then very quickly they decide, “You know what? I could take this to my kids’ house and see my grandkids; I could take this further distances.” So even if your plan is to buy, to stay local finding a dealership that maybe is part of one of those groups, and we’ll have some links to those both that we mentioned – the Priority RV and Route 66 below in the show notes, people can go on there and find those dealerships there, and that’s a good place to start for sure. And there are lots of hometown dealerships, again they are not part of a group that are reputable, do a good job. Kevin: Yeah, for sure. So what are some … you bought yours, right, not at a dealership and you have a lot of friends that bought theirs not at a dealership. Why would someone want to buy a dealership versus buying maybe not a dealership? Greg: That is a good question. If buying it from a dealership you know that one of their technicians has already gone through it. And they know where the problems are and they’ve often probably fixed the problems, they’ve checked all of the components that are on the RV, the gas, the water, make sure that they all work before it even goes up for sale. And so a good piece of mind to have and I don’t think you get that when you’re buying from a private seller. And when I bought it from a private seller the first thing I did is had … even before I signed the contract that I was willing to buy it I had the guy take it to that Route 66 dealer, Little Dealer Little Prices in Phoenix and have one of their technicians go through it, with fine tooth comb and identify problem areas that there might be that I wouldn’t as a new RV owner have any clue what to look for. And I think that was a good investment of a couple hundred bucks. But if you’re buying it from a private seller there is a new organization out there that started a few years ago called the National Association of RV, National RV Inspectors Association. Greg: And they have independent inspectors located all over the country, so for a couple hundred dollars you can have one of these guys who has no ties to a dealership or anything like that like come through there just like a home inspector and walk through the RV and look for those same kind of problems that I had just like at the dealership. And then they get a report, a very detailed report on the good, the bad, and the ugly about that particular RV. And they can use that in their buying decision. Kevin: Very good. So Greg, just like on the other shows you’ve done so far, there are probably 10 topics we’ve already covered that we could do a whole show on. So hopefully you’ll want to come back and do a feature, a bunch of shows with us too. Kevin: Yeah, it’d be great. And so with your experience in the industry, what are a few thoughts people should keep in mind when they’re considering the quality of the RV when looking at the cost? I know you’re passionate about this, so quality and cost. Now light weight RVs are wonderful if you’re going to pack up the family and go to the local state park or national park, spend the weekend and then come back home and things like that. That’s perfectly fine and dandy. So there’s that issue as far as the quality is concerned. I know that some manufactures probably have better reputation than others, and they’d encourage people to spend a lot of time in the RV forums either at iRV2.com or at Facebook group with the VRV dream. And if they’re thinking of buying a particular RV, they can go on there. It doesn’t cost anything. Post a note, “I’m thinking of buying this. Anybody have experience.” And then just come back in a couple of hours and you should have a lot of answers hopefully about what the manufacturer’s reputation is, what that particular brand is about by people who’ve actually owned them or new people who’ve owned them. So I think that there’s a lot of research availability out there that people can tap into before they make their buying decision. But I think most RVs are probably very well constructed. I know that some, like I said the biggest problem I think we’re having is with the lighter weight stuff where they’re using the lighter weight components, where it’s may not so much as wood but some sort of fibrous material that they’re putting in there and a lot of plastic rather than metal parts and stuff like that. And that can make a big difference in the long term viability of that particular RV. Greg: If you can and afford it to make, to spend the next couple of thousand dollars to get an upgraded model, it’d probably be worth the price. Kevin: So I’ve owned a couple RVs and the first one I had was a hybrid and there’s a whole story behind that that I can tell some other day about, you know, it was our first one, I didn’t really know what I was doing when we bought it. I did the best I could with the information that I had at that time, that was trying at free sites like RVing Planet and free sites like iRV2, some of the message boards that are out there now that are very helpful. The next one that I bought that I’m sitting in right now, it’s a 2014 and it’s in that sub-25 to $30,000 range for a travel trailer, and I’ve already had to do a couple little things to it just having it for a couple of years, and we’ve only driven it even taken … not driven it, we’ve only towed it just locally two to three hours away for weekends and stuff. And I think one of the things that people talk about all the time when they’re looking to buy an RV and we just had someone that did a review on an RV on RVing Planet not too long ago. And I should probably try to find me and bring it up and show you guys. But this that counts that happens all the time, they’ll buy the RV, everything they think they wanted, they drive it home, they get home they walked in and the cabinet door may be sagging a little bit because the hinge was loose. And they go online and they give this terrible review about this RV because one hinge was loose on the entire thing. Kevin: House on wheels, man. It’s a house on wheels. I mean, so the point I’m trying to make with the whole thing is, yes, I agree with you that if you can afford more pay more, and that’s you typically get what you pay for. I mean, in any type of environment it’s typically the case. But even if you buy something a little less expensive if you have the expectation that you’re going to have to fix a few things once in a while, you’re going to have to tighten some hinges, you may have a little water leak you got to get fixed, you may have some things that you got to pay attention, I wouldn’t give up the RVing lifestyle and not go camping because I’m worried about having to do a little bit of maintenance. Greg: Right. If you’re buying a brand new RV it’s pretty commonly understood that the first year or two-year you’re going to be spending a lot of time in the dealership to get things taken care of. That’s just a fact of it. I mean, the RV dealers before they even sold the RV, all of them are doing pre-delivery inspections and they’re checking all of this stuff, but you get it on the road and you bounce it down the highway and high winds and some “suddenly” may occur, there’s that. I believe that they can then get that fixed. Kevin: Yeah. I have the experience on our first one, the hybrid, man, we actually drove that from Michigan to the Adirondack Mountains. And that was our maiden voyage, that is not why it’s for anyone to do. Don’t drive 12 hours on your maiden voyage. Kevin: Yeah, that was … that was I didn’t had no clue. So anyway we got there and I ended up with two little water leaks, and we’re at the face … we’re camping at the KAO at the base of White Faced Mountain and you’re in the middle of nowhere out there, man. And trying to find like going to these little hardware shops and stuff, finally someone was able to help me out and get me fixed so we could use our water. But again it’s one of those things where it’s a little frustrating, but in the meantime it’s part of … you just need to expect some things like that, it’s going to make the whole experience go a lot better. Greg: I know that there are some especially in Pennsylvania, some dealers and campgrounds have worked out this agreement where if you buy a new RV they’re going to use the RV and this is your first time you go to one of these campgrounds and you buy one night and getting another night free. But they watch it a little bit and they make sure you’re having good experience. And I would say if you’re buying an RV the first thing you need to do is find the local campground, the one that’s only five or ten miles away, go over there, figure out how to set it up by yourself, make sure you know how to do all of the stuff from starting the gas and the stove top to dumping the water tanks to filling up the water tanks, making sure the slide outs work properly, and that you can level that, all that stuff so that if you have a problem you’re only a couple miles away from the local RV dealership that sold it you and you can go over there and get some help and ask some questions. Kevin: Oh, my God. I’m an RVer, man. I do this all the time and yet I learn stuff all the time. So in this new RV we had it for a year. I thought there was something wrong with the thermostat, because I couldn’t get the fan to run auto. Like I mean it would … if I turn the air conditioner on in the summer it ran all the time, like it would never shut off. And it was a new type of thermostat, I hadn’t used it before. So instead of getting the manual out and reading a thing like I should have done, I thought it was broken, man. So I’m frustrated and I’m like, “This is stupid.” And so I’m looking up ways to replace the thermostat and I finally got so frustrated, I called the dealership I bought it from like what’s going on. They’re like, “No, no, no. Like literally you just press this button three times and it’s on auto.” I’m like, “Oh, man. I’m such a buffoon.” Read the manuals. Greg: People stack a stuff about this big when buying a new RV and to read it all is really, you know, it can be overwhelming but it’s good idea to have that information available. And the forums are very good, online forums I found very good at offering suggestions or patiently answering questions when you do things like that. Kevin: No, for sure. Well, it’s hard to believe, Greg, that we have been on 25 minutes already. Kevin: Yeah, ain’t that crazy? Kevin: But you do podcast shows, and this is what it feels like to be your guest, right? Greg: It’s true. We don’t do videos. It’s all audio. Greg: We don’t do video. It’s all audio on my podcast. Kevin: It’s alright, man. So we’ll definitely have to have you back sometimes in the near future and dive into these other things and share your experiences as well, not just about shopping but just about RVing in general. So before I give you the final word which I’m going to do here in a minute, I just want to remind everyone that the bottom of the video here at the end we’ll have resources, links to resources of all the things we talked about today. And this actually, this show already just listening to it will have more resource links to it than any show we’ve done so far. So Greg’s done a good job of bringing us a bunch of things that we can follow up on and learn from, and we’ll be sure to have that in the show notes and as well as they’ll be some free resources as I know that there’s a mentioned buying used RV, I know RVing Planet has some used RV checklist specifically to the type of RV that you’re looking to purchase. If you’re looking to purchase a pop-up camper it’s a very different process of making sure that everything is right than it is on like a class A motor home. Greg: Exactly. I would say that. Kevin: You want to make sure that you got the right checklist as well as those resources Greg mentioned for having a certified, someone that’s certified to actually look at the RV. Kevin: Yeah, that’s good. So Greg, give us the last word, man, before we check out today. Greg: Well, that’s all it is, the RVing lifestyle is secondly to none. Camping wherever you can or wherever you want, the RVs are just a great resource to use as a base camp for exploring an area so you can travel a couple thousand miles or a couple hundred miles, park at a campground and then go out and see all there is to do in that area knowing you can come home and have a taste of home while you’re on the road. So I would encourage everybody to get out there and do that. A lot of people are buying them. I think the industry made 439,000 new RVs last year alone and they’re expecting to make about 440,000 again this year. So it’s going to be a popular thing. It’s becoming more and more popular. People love it and I enjoyed my experience very much over the last three years. Kevin: Awesome. Well, Greg. I appreciate you so much and again thanks again for coming on today. And we’ll look having to … looking forward to having you back soon, so that wraps up for the show, everybody. And until next time, enjoy the RVing life. Greg is the editor of RV Daily Report. 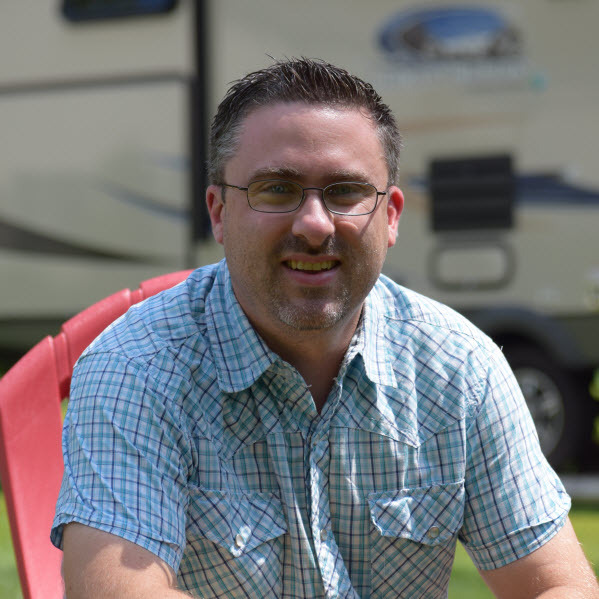 He has been in the RV industry for 17 years and has been a full-time RVer since March 2014 living and working out of his motorhome as he travels the nation reporting on the RV industry.